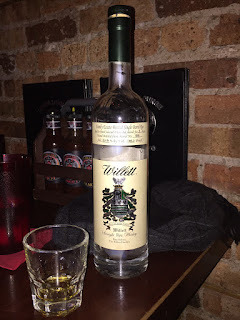 Though I've been to many different whiskey bars, I've never bothered to review them here, having always focused primarily on the whiskey reviews. However, a recent trip to the Cobra Lounge in Chicago inspired me to change that. The Cobra Lounge, located west of downtown Chicago on Ashland Avenue near the United Center, is a well-known rock n' roll bar, known for its live acts and loud music. When my friend suggested we go there prior to a game at the United Center, I was skeptical but willing to give it a try. We opened up the place at about 4:00 on a Saturday. It was clear that the staff was getting ready for a busy night, with a band called H20 set to perform that evening. Nonetheless, we were given the full attention of the wait staff and the bartender as we slid into our booth and prepared to enjoy some food and drink before taking in a couple college basketball games. First things first -- the whiskey selection. The Cobra Lounge is not a "whiskey bar." It's clear that it is first and foremost a rock n' roll bar. It's not the kind of place where you're going to enjoy a beer and watch a game. In fact, there's not a TV to be found in the place, which is completely appropriate for a bar such as this. That being said, what this bar lacks in quantity it makes up for in quality. Though it's not a large selection of whiskey, the bar wasn't stocked with the typical base-line bourbons of all the big companies. Rather, they had the full line of the Orphan Barrels, a couple Parker's Heritage offerings, and even Jim Beam's Distiller's Masterpiece. 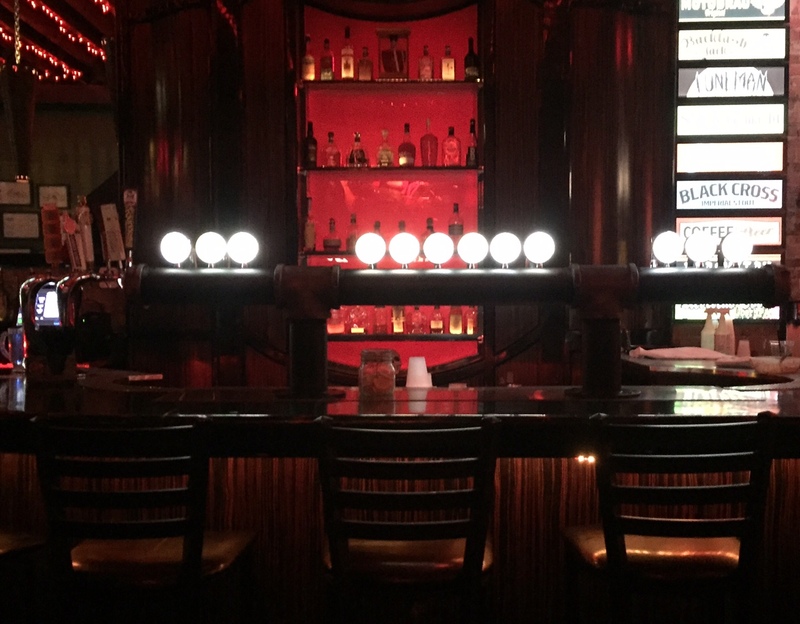 What caught my eye, however, and what made this place worthy of being considered a whiskey bar, at least to some extent, was the tall, skinny bottle with the white labels sitting on the very top shelf. I immediately asked the bartender to pull that bottle down and let me know exactly what it was. Much to my delight, it was a Willett Family Estate 7 Year Rye, and my drink selection for the evening was made. I enjoyed that while my friend enjoyed a Rhetoric 21-Year Bourbon. As a parting gift, because I finished the bottle, the bartender gave me the empty Willett bottle as a keepsake. Not only did they have a good whiskey selection, but the Cobra Lounge has its own brewery attached, All Rise Brewing Co., and they had a great variety of craft beers available. I helped myself to a Belgian Double that they make, and it was so tasty I decided to have another rather than try something different off the menu. I'll have to make it a point to get back there again to try their other offerings. Finally, the food . . . fantastic!! Admittedly, in a place such as this I didn't come in expecting great cuisine. However, where it's located, I should have known that great food is necessary in order to compete, and the Cobra Lounge has fantastic food!! Our server, Joey, informed us that they smoke their own meats on-site, so I went with smoked wings as an appetizer (some of the best wings I've ever had) and a smoked pork belly entrée, which was seriously smoked meat candy that melted in my mouth like butter. It was amazing! Overall, the Cobra Lounge has a great, energetic atmosphere, great food, and the staff was fantastic. If you happen to go there, look for Joey . . . she was awesome! All that combined makes this a great place to grab a drink and a bite to eat, but throw in a quality whiskey selection, and I've got myself a new favorite stop.